Lets the light shine as a symbol of life and love remembered. Here at Long Creek Candle Company we're proud to feature our line of beautiful, all-natural candles that come in 48 fragrances. And we're always developing more. We carry all the intoxicating scents you love like Soft Lilac, Blue Horizon and warm fragrances like Autumn Harvest and Pumpkin Spice. Wherever you want to go....we have a scent that will take you there. But our aromatic fragrances are not all that sets us apart. 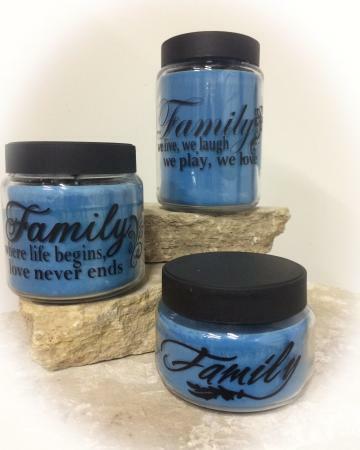 We add custom details to our candles through our line of Expressive Word Candles. These unique candles are paired with personalized labels to convey meaningful quotes, names and expressions of your choosing. Plus, our candles are clean-burning meaning they do not create a film of soot on your walls, ceilings, jar or curtains. What's not to love? Clean. Natural. And beautifully scented. 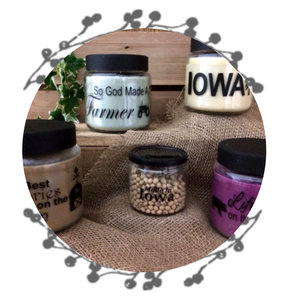 Our soybean wax candles are made with the highest degree of excellence by local Iowa farmers. Right in the heart of this natural state, soybeans are harvested and molded into wax and poured into elegant jars for you to enjoy. Our soy candles come in every variety of scents you can imagine and vibrant colors for each fragrance. 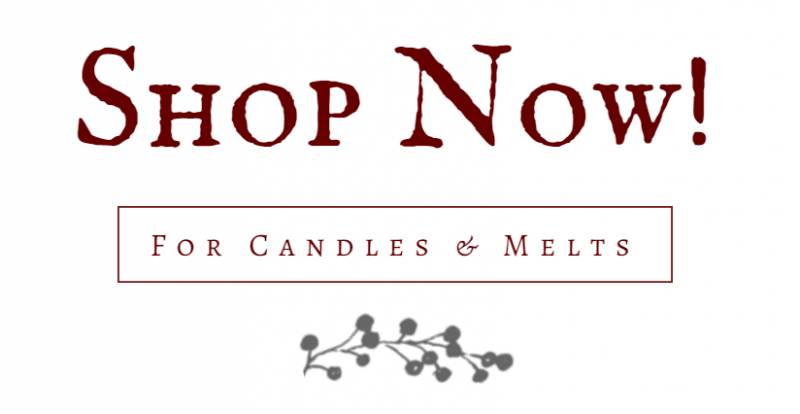 From warm varieties like Cinnamon Buns to sweet fragrances like Love Spell and Sugar Plum. Create an extra special gift for a friend or loved one with a delightfully scented candle personalized with their name or a fun quote! We can detail our candle labels with any wording and font style of your choosing to add that extra appeal you are seeking. These custom labels make wonderful gifts for engaged couples by elegantly displaying their names and wedding date or for a baby on the way! What better way to decorate your nursery than with an aromatic candle decorated with your little one's name? The possibilities are endless with Long Creek Candle Company! Try a candle in a different form.....scented melts! Like our soybean wax candles our collection of melts come in many of the same intoxicating fragrances you love. Plus, their guaranteed to provide a lasting effect in your home. Every one of our melts will go perfectly with any kind of candle warmer of your choosing and trust us when we say, you'll be satisfied with the result!